The issue of copycats in the toy and game space has been a thorny one for years and remains a huge issue in the industry. To be clear, a copycat product in this sense is one that attempts to convince the consumer that it’s a cheaper version of a specific, pre-existing, popular product. While shopping in The Entertainer recently, I came across several games that looked pretty similar to existing games on the market. There was ‘Dodge the Doo Doo’…. And ‘The Great Magician’s Escape’…. There is absolutely nothing illegal about these kinds of products (unless a game has a specific mechanism, you can’t protect gameplay). And this isn’t a special case. There are lots of different manufacturers creating products like this, lots of retailers stocking them and lots of consumers buying them. But when looking at toys and games that are so similar to other successful titles, it does raise a thought: should retailers make more of an effort to champion original creations by avoiding these kinds of products? The Entertainer is absolutely right; none of the above examples infringe on IP rights, and all of the games featured above fall within the realm of what is legally acceptable. “Lookalike products are very common in supermarkets, and studies have shown that consumers buy products in supermarkets by mistake. In 2013, the UK IPO looked into this and said: ‘There is a lookalike effect. In essence: Consumers are more likely to make mistaken purchases if the packaging of products is similar and there is strong evidence that consumers in substantial numbers have made mistakes; Consumers’ perceptions of the similarity of the packaging of goods are correlated with an increased perception of common origin and to a material degree. There is also an increased perception of quality; The lookalike effect increases consumers’ propensity to buy a product in similar packaging. “It is also difficult for brand/design owners to enforce intellectual property rights against similar packaging. The pack designs may not infringe trade marks, designs or copyright and a passing off action is very difficult – and expensive – to bring due to the need to demonstrate misrepresentation and consumer confusion to a court’s satisfaction. “Similar packaging that misleads shoppers is likely to breach the Consumer Protection from Unfair Trading Regulations (CPRs). However, these can only be enforced by the Competition and Markets Authority and Trading Standards, and both authorities have been reluctant to do so. As a result, lookalike products in the supermarket sector tend to go unchallenged. “It is even more difficult for toy and games manufacturers, because – unlike supermarket products, which are often purchased quickly and without a lot of attention – consumers are likely to be more careful when buying toys and games, and so they have more chance to spot the differences. Hence, to succeed against a lookalike product, the bar of how close the lookalike has to be is set higher. “One major purpose of IP protection for designs and patents is to encourage original design – you are more likely to put effort into designing something original if you know you are going to have some protection for it, and hence can get pay-back on your investment. But, if the law doesn’t help brand/design owners in the case of well-judged lookalikes, they are a bit stuck. And retailers will probably justify stocking lower priced lookalikes on the basis that choice for customers is a good thing. So yes, it’s a tricky issue. Many toy companies don’t want to damage relationships with vital retail partners by tackling the subject and retailers are happy servicing the value end of the market with these kinds of products. The ones truly being harmed in this ecosystem, of course, are the designers of original toys and games who are losing out on potential royalties due to sales of lookalike alternatives to their creations. 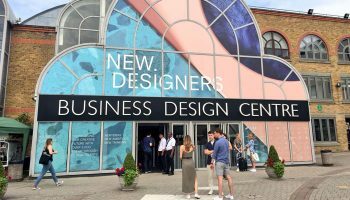 We asked the design community for their thoughts on the issue, and how the situation can be bettered going forward. I think the definition of ‘copycat’ needs to be clear, we’re not talking about similar trends, ideas or inspiration here, which happens with many products on the market – a copycat product is a deliberate attempt to convince the consumer that it’s a cheaper version of a specific, trendy, popular product and is an easy way for the copycat to make a quick buck. There’s no attempt to improve it and costs are reduced to a bare minimum in order to maximize profits (which can also severely impact quality, function and enjoyment). 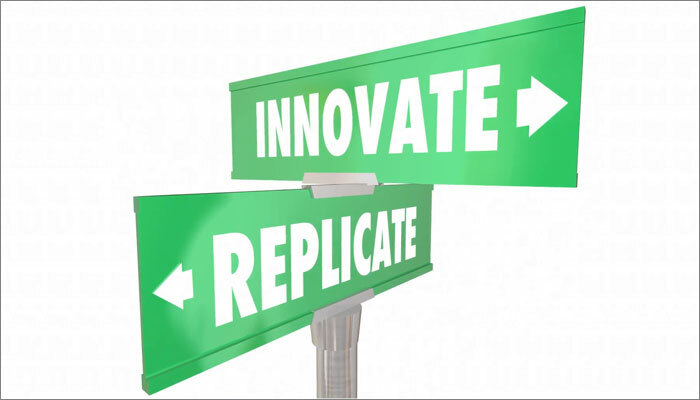 Research, development and marketing cost a huge amount of time and money and the copycat knows that; their aim is to piggyback consumer awareness and popularity in order to profit from it – without any of the associated costs and risks. The same trend is happening in supermarkets (‘own brand’ versions of products) and many other industries. 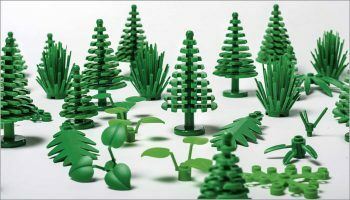 Realistically, toy companies should only sell their newest, coolest innovations to retailers that respect their IP, so the copycat retailers would miss out on big, game-changing hits because of their actions. 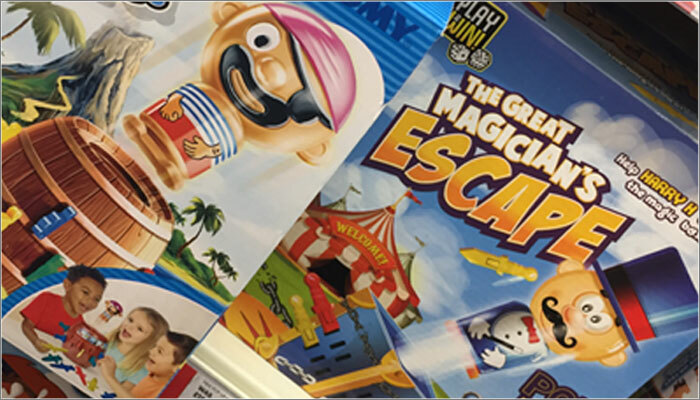 If retailers are offered copycat products, I think they simply shouldn’t stock them – it harms their relationships with toy companies and it harms innovation – which is the lifeblood of the toy and game industry. We’ve talked about this issue quite a bit after seeing so many copies of Don’t Step In It. The idea that the copies are merely similar is laughable when you look at the package art and gameplay. They’ve taken the concept and have tried to get as close as they can whilst staying within the law. I found it strange that Amazon UK has many more copies than Amazon US. I would have thought the opposite given the size of the US market. I’m not sure if Amazon US does a better job of limiting copy games or if they even try. But the difference is interesting. 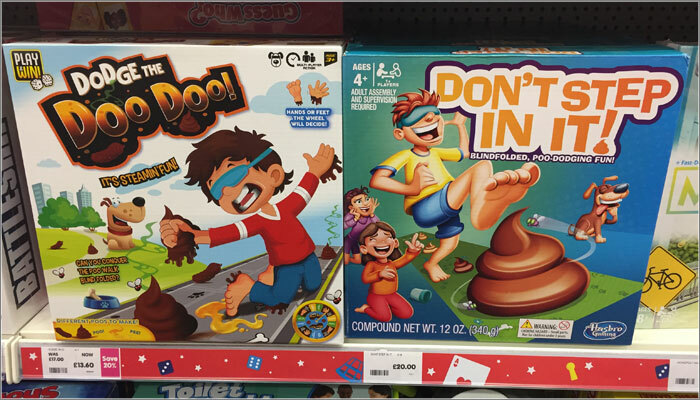 There were a couple of things that I found disturbing outside of the obvious (which is that Hasbro has licensed the rights to our concept, while the copy games are ripping off both Hasbro and us). First, we tried to put negative and truthful comments on the copy games ratings. But, Amazon blocked most attempts. And, second, I reached out to Amazon and I was very disappointed by their response. Retailers who buy copy games should be called out for their willingness to sell games that are ripped off from someone’s original idea. Knock offs and copies are a huge problem for the industry. I do think retailers should be taking a much greater role in not carrying copycat product. The manufacturer has taken all the risk and established the product as a success through significant investment in development and marketing which the knockoff product/company is taking unfair advantage of. Additionally, in many cases, the manufacturer is paying a royalty to the inventor and the copycat product is not. So not only is this hurting the original game’s manufacturer, but in many cases the inventor is also being hurt by these products. Usually these companies are copying a product that has been made successful by reputable toy companies that follow very strict safety and QA requirements. I am not so sure this is the case with the companies making the copies. Carrying knock off and copycat products only encourages proliferation of this problem, so, in my opinion, shame on the retailers who are complicit in giving shelf or cyber-shelf space to them. Speaking as a designer, I would obviously be unhappy if my work was openly copied — even while I understand that, by definition, copyright law can’t protect ideas. And just as well, since my work would be impossible if it did. IP law, mechanical patents, trademarking and the law around “trade dress” have more teeth. Manufacturers and retailers know exactly where that line is — and I think lots of consumers do too. Does everyone confronted with a brand-name product and an apparently equivalent, but cheaper, alternative necessarily opt to save money? Obviously not, which is why retailers put both on their shelves. When people buy a product, cost is not the only consideration; value is to. When one thing seems “cheap”, what does that mean for the things around it? The problem is not going away, but it’s also not new. Connect 4, Jenga and Guess Who became open market products long ago, albeit with different names. There’s a problem with what defines breaking the ‘moral code’ of borrowing someone else’s creativity and hard earned equity. Pure counterfeits are easy to define but what breaks the moral code of a ‘looky-likey’ product or one piggy backing a trend someone else created? Take LOL Surprise: there are no doubt pure counterfeits finding their way to market, but MGA are also calling out companies they claim are borrowing the trend they created, with arguably quite different product. Examples such as those pictured above are telling, and there’s no coincidence to the similarities to other very successful games – you won’t see them making similar games to ones that aren’t successful! This type of activity only happens with successful products, and has happened for years. LEGO and Rubik’s are prime examples; both companies spent millions building their equity and now are forced to spend millions protecting it – that can’t be fair. The other major problem is this is by no means exclusive to the toy industry. It’s happening in all industries – if you think it’s bad in toys, imagine what it must be like working in the food, fashion or consumer electronics industry! The differences in the so-called ‘knock off’ toys are often a lot clearer than, say that of breakfast cereals, smart phones or sportswear. While the wider world is the way it is, consumers are never going to respect the IP of one toy over another clearly ‘similar one’. In my opinion there needs to be a code of conduct definition, that both toy companies and retailers sign up to, which states that in good faith they acknowledge IP – whether it be implied through design and gameplay, or legally through copyright and patent protection. But I think it will be an impossible thing to achieve while the world is the way it is. One needs to wonder who is the bad guy in the chain of knock offs. Often times I hear people moaning about how the Chinese have knocked them off, but my observations of the Chinese black market is that they’re looking to knock off established brands that they can sell off through numerous supply chains. In order to do this they need to knock off really established brands with large lines like Gucci and Ray Ban. It is not worth their effort to knock off a one off item. So, where do these knock-offs come from? Trading firms. There is an industry of trading firms finding “what’s hot”, cost reducing it, rebranding it and selling to selected retailers. And where are most of these trading firms? In the US and Europe. Many times these firms hire factories that aren’t even aware that they are knocking off products. To me, this is immoral and it should be considered coalition when a retailer purchases these goods knowingly in preference to the real deal. Now, the argument could be made that it is a free market and often times these knocks offs are sold into value chain stores to meet an acceptable price point for lower income demographics. But one shouldn’t paint these knock off artists as some sort of ‘retail Robin Hoods’. There are always better solutions. If you look at value chains like 5 Below in the US, you’ll see value versions of many established toys, but they’re not knock offs. They are simply cost reduced versions supplied by the true supplier of that product. Ethically speaking this should be the standard model for retail. Like it or not, anything that is popular is copied. Just visit any supermarket to see the ‘clone brands’ (sorry I meant ‘own brands’). Amazon is full of copies in every sector, so toys are no different. Does that make it right? Of course not, and if you have enough money and time you can often do something about it. However, if it’s worth copying, you’ve probably had a hit on your hands. The best thing is to continue to innovate and then those retailers who have copied you perhaps do not get the first slice of your new innovation. Much easier said than done, of course. Having worked on many toys and games that were copied, the key principle is to be in the driving seat. Make your item so good that the copy, even if it’s a bit cheaper, just can’t keep up. Retailers and manufacturers, like any symbiotic relationship, are not always entirely equal. As an inventor, it obviously can hurt when you see your potential royalties being reduced by someone who has copied your hard work. But rather than letting that eat you up, let it give you a bigger appetite for more and make those copiers work hard for their dirty dollar. The retailers shouldn’t support this. Consumers don’t know. The manufacturers have a long history of doing this. Knock offs are part of the business, but my view is it’s not right for major retailers to support it. This stuff drives me crazy. 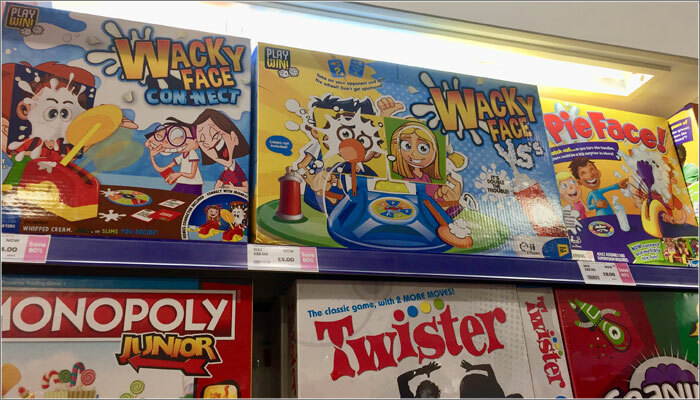 Aside from the disrespect to the investment in innovation of related parties and the financial impact on those parties, the real world impact is the kid who’s put Pie Face on their Christmas or birthday list, only for a well meaning grandparent or relative to pick up ‘Wacky Face’. Queue upset child and confused relative. Not cool. Some retailers manufacture their own cheap lines, while being exposed early to all the toy companies’ strategies. 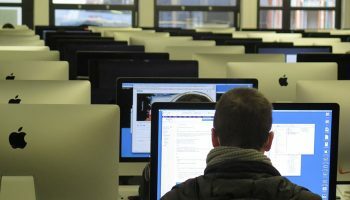 At the same time, they also request cheaper copies from manufacturers – so the retailers could be the ones creating this problem as they always want a cheaper version of what’s popular. Mojo Nation is looking to put on a forum for retailers, manufacturers and designers/inventors to come together to discuss the issue, and to see if there’s a code of conduct we can create to help provoke positive change. 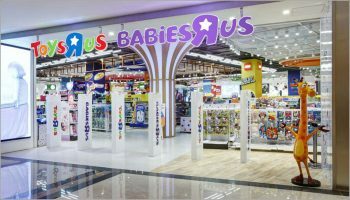 We asked figures in the toy and game design community for their thoughts on Tru Kids Brands, and the potential return of Toys R Us. 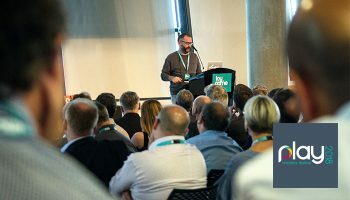 Last week saw the launch of Mojo Nation’s inaugural Play Creators Festival, a three-day event encompassing the Toy and Game Design Conference, the Mojo Pitch and the Student Conference. A recent study by the Press Association has revealed that the number of teenagers being entered for creative arts subjects at GCSE in England has dropped significantly in the past five years. 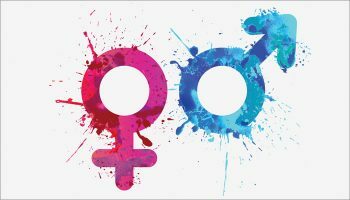 We asked several key figures in the world of design for their thoughts on the issue, and whether this gender ratio reflected their own experiences in toy design.